No doubt, you already know there are many ways to invest in real estate, but how do you know if you’ve chosen the strategy that will work best for you? Different strategies have various levels of involvement, some being quite active while others are quite passive. Consider this when you decide which properties to invest in, and consider which strategies are well suited for your finances, now and in the future. 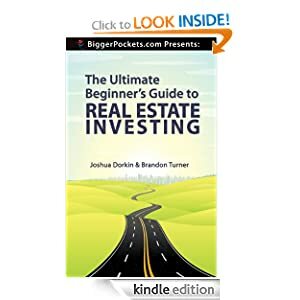 The first type of real estate investment is what most people consider to be something like a single-family rental property, which will bring in a monthly cash flow that increases your income. This type of property can be purchased in a couple of different ways, depending on the amount of time you can invest and how much capital you can afford for your initial investment. Investors, with more time and less capital, tend to opt for purchasing distressed properties in short sales, or at foreclosure auctions. Then they renovate the properties, rent them, and operate as their own property managers. This will more assuredly result in higher returns, though it involves more risk (may need a lot more work than you bargained for). It requires extra time and work. Many smart real estate investors put more capital into their initial investment for turnkey properties; move-in ready with no need for renovations. These properties frequently come with property management services, and some come with tenants in place. While you’ll spend more up front for one of these properties, you are pretty much guaranteed a positive cash flow immediately, and more consistently. If you’re looking for a real estate investment strategy that’s completely hands-free and passive, you may want to consider investing with a REIT. When you do this, you will not literally purchase a property or a piece of property, but rather you’ll buy stock in the trust. The trust will then invest your funds – combined with other investors’ funds – to acquire bigger investment properties, such as condominiums or retail spaces. By owning shares in a REIT, you’ll accumulate returns. These are a few of the more conventional real estate investment strategies you can use.